The GEPIDA Asgard is perhaps the best electric hard tail on the market in Australia. It uses the most advanced BOSCH electrical running gear of 2016. This is the CX performance line with a larger 500 Wh battery. It has FOX recon forks with 100 mm of travel, a through axle and SLX and Deore running gear. This is the type of electric bicycle you could use for commuting but would be more inclined to enjoy riding it off-road on the tracks. 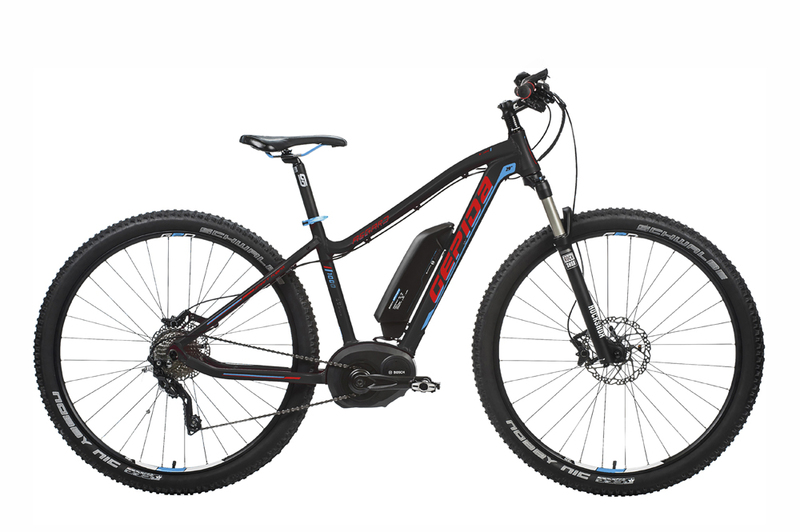 This has been BOSCH’s best selling electric mountain bike in Australia since 2014 and with good reason. It’s simply the best there is.